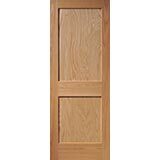 Our doors are seen in the final reveal episode "An Arts and Crafts for the Ages"
Interior doors can make or break the look of your home or office. To make sure you get the doors that will best suit your needs, we will assign to you a personal salesman from our extremely knowledgeable and experienced sales staff. They will guide you from start to finish through the design phase, ordering process, jobsite delivery and final installation. 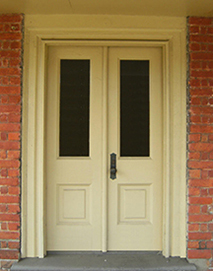 Your salesman will make every effort to make sure your door sizes, handings, finish color, etc. is exactly what you want while at the same time providing a smooth and easy shopping experience. 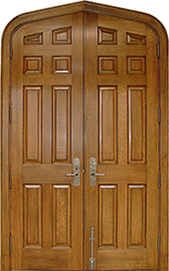 You can provide any number of special requests because custom wood doors are our specialty. 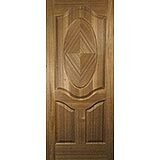 Wood doors will make your home as unique as you are. The natural variations in color and grain make wood one of the best materials for decorating a home. Ask your sales expert which type of wood will best suit your needs. 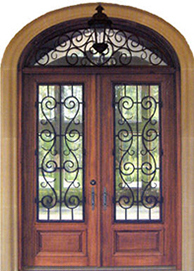 Although we are well known for our fine interior doors, we also offer fiberglass, wrought iron and wood exterior doors as well as hurricane, sound and fire rated doors. 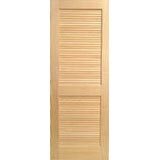 We have an extensive line of architectural moldings to compliment our interior doors. With our vast array of window and door casings, crown molding profiles and unique baseboard designs, you are sure to find something that will look great in your home or office. We have 179 window and door trim profiles alone, with knife grinding capabilities for any custom wood molding that your house requires. Our architectural molding is available in over 20 different species of fine hardwoods. Our family business has been providing fine wood products since 1981. Our reputation emphasizes wood products that are of true high-quality and craftsmanship, accompanied by knowledgeable and helpful customer service. If you demand the absolute best, we are your company! "The doors look perfect! I was skeptical about ordering doors online. Your company performed flawlessly. Delivery was prompt and the truckline was courteous and professional. Your pricing is very competitive and the product is excellent. My only regret is that I did not order all of my doors from you when building my home. Thank you for making this a pleasant experience." 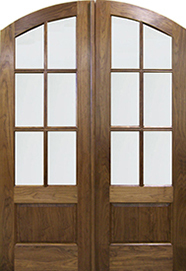 "I can't tell you how pleased we are with the workmanship and the beauty of these doors. Your source will be an asset to our project and we will enter your name on our blog and we will refer your name to our clients confident that they will receive a quality product that will make them proud." "I just want to follow up with a written Thank You for the great work you guys did on my custom doors. I couldn’t be more thrilled on how they turned out. They will match my heritage house perfectly! It can be a little unnerving when dealing with a company in another country and with people you’ve never met or dealt with before. Everything from communication, admin and transactions went smoothly with honestly, integrity and trust. And to have such great quality product is amazing! I will strongly recommend your company to everyone!" "Homestead Doors' staff were very patient with me and provided excellent support. 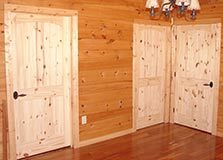 Based on that positive experience, I ordered all the interior doors for our cabin from them and they are amazing. 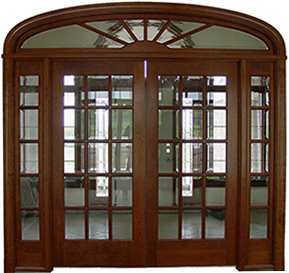 The workmanship is outstanding and the doors arrived in perfect condition." "I didn't get a chance to reply until now, but the doors arrived and they look beautiful. We should be hanging them soon. Thanks for your help in creating them." "I have begun to install the doors and am very happy with the beautiful job that all the guys at Homestead did. The woodwork is perfect and the finish is beautiful. Please pass along my thanks to all the artists." 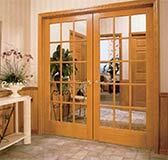 "Just a note that I am so very satisfied with the beautiful doors that were sent to me...I know I learned a lot, and thank you for your patience with my incessant questions and minor changes! It is much appreciated by me and by the clients. 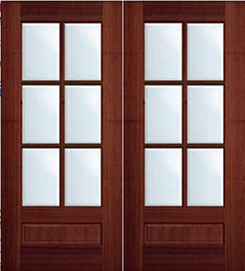 The doors are beautiful--both the cherry and the maple. I'll be sure to keep your company in mind for future needs. Thank you and your associates and craftsmen for their fine work!" "I opened up the crate of doors on Thursday and lo and behold you guys nailed it. Absolutely spot on. You made my dreams a reality and the doors look fabulous. So you're now 2 for 2 with me on my door orders. Thanks so much for your great effort and work. Use me as a reference any time." "I placed my first order with Homestead over a year ago. Six unfinished oak, 4 panel, cathedral style interior doors. One word to describe them. FANTASTIC. I placed my second order just last month for another six doors. Again, both service and quality are outstanding. 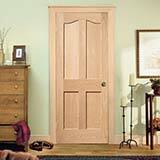 The doors are beautiful with excellent craftsmanship and delivered on time. I would highly recommend using Homestead." "Through the process of building our new home, we have found very few companies who supply the high quality products we desire. Thanks for being one of them. We'll be in touch with you in a couple of months to order the French doors we discussed." "The quality is awesome. The staining and finishing work was well done. The hardware was top shelf. Dealing with you was a pleasure and I know I was a little intimidated with the delivery process and handling any issues but there were none. Thanks for a great internet experience as well as dealing with terrific products. I have advised my decorator about our experience as well as two local contractors." "I never knew how much doors can make a house a home until we put in our interior doors. They are so beautiful...the workmanship allows us to recommend your company to others with pride. Thank you for all you have done in working with us and hopefully we will be back to you as the need arises." "I just wanted to let you know that our doors are beautiful. They arrived in perfect condition and are installed in our new house and they are just lovely. As we have been "showing off" to our neighbors and friends many comments have been made about the beautiful doors and I thought you would like to know." 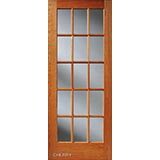 "I wanted to say Thank You for the timely delivery on this door order. I am thrilled with the doors! They are beautiful! Plus, they are not even stained yet...wait till they get stained...they'll be a big part of how nice the design is coming out! I hope to do more with you guys going forward!!" "I just wanted to let you know that our door order was received last week. All looks well. We really like the door that you got for us with the obscured glass. I had asked around to many places in our area and couldn't find anything that matched so well. Thanks very much for your help!" 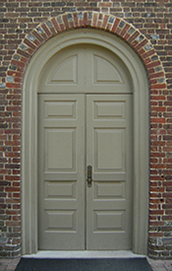 "Received the doors in fine shape and hung most of them. Thanks for the prompt, reliable service and the quality product. I'll certainly be passing your info along to all my contractor friends." "Let me tell you something, these doors are GREAT. I can't wait to assemble jambs and hang them. I will let you know status. GREAT JOB HOPE TO DO BUSINESS AGAIN." 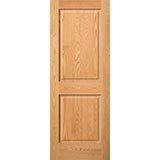 "Thanks very much with all your help with our door order! We got them last week and they look really great. I was able to get the jambs cut down by a cabinetmaker I found in the Yellow Pages and it cost me all of $20. I really appreciate the tip and the time and money it saved me and the high quality of the doors. We'll be repeat customers, I'm sure." "I received my doors last week, they are truly a work of art. My contractor and I continue to consider leaving them in their natural state, as the craftsmanship is not to be taken lightly. Thank you for your patience, assistance and professionalism, I have given your company name to several friends." "We received the door today, and it is just beautiful. Our contractor is so happy with the quality of the wood. Thank you for taking such good care of us." "I just wanted to thank you for the doors. The quality is exceptional and we love them. 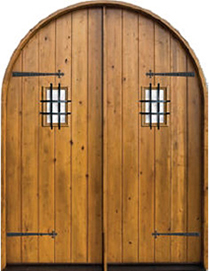 Homestead Doors has been a pleasure to work with and we would absolutely order from you again." "Just wanted to let you know how thrilled we are with the doors! They are gorgeous, and clearly very well made. They arrived in perfect condition, and [the delivery company] was extremely helpful and pleasant." "We received the doors and Lyptus trim for the job was very impressed with the quality and finish we just signed the contract the other job and look forward to working with you on that." "My new Homestead doors arrived yesterday in great condition. While the doors are wonderful, my reason for this email is to tell you how pleased I am to have been interacting with Tom. I found him to be knowledgeable, honest, (what he indicated would happen, did, how and when he said it would), and patient. His patience during several telephone and email conversations was refreshing and allowed me to consider alternatives and proceed at my pace." 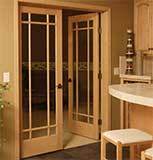 "My husband and I purchased three Prairie style 9-light doors earlier this summer. 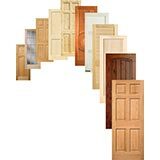 Our remodeling project is now complete, and I can't begin to tell you how happy I am with the doors. They are truly a focal point and are exactly what I was hoping for. Scary to do this on-line, but SO worth it in the end. Only wish you could see them. Thank you very much for the beautiful product." "We received doors April 5th. I stained them today (7th)....everything looks great. I'm impressed with the quality of workmanship and will definitely recommend and use your services in the future. 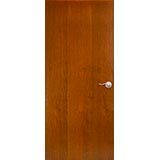 Thank you very much"
See, touch, and experience the quality and beauty of our wood doors. Come to our shop in Vickery, Ohio, to get a first-hand look at our doors on display. See Us Featured in Style 1900 Magazine! See our products in the feature article "Lone Star Style" of the Fall 2010 issue of Style 1900 Magazine.